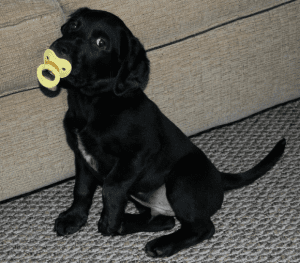 Welcome to Serious Humor ~ July, 2015! Serious Humor is our monthly round-up of the most important “serious” trends and articles in SEO, Social Media Marketing, and AdWords as well as “humor” that will make you laugh at the next office meeting. Got a suggestion? Send us an email. Google realized you are slipping into the summer season and might not have enough to do. So they announced as of July 1st, you MUST upgrade to so-called final URLs from the old destination URLs. They published an upgrade guide, here. Don’t worry: they have probably already upgraded your URLs already, which will probably wreak havoc on only a few AdWords advertisers – namely, you. Todo: check your AdWords to see if your URLs are running correctly! 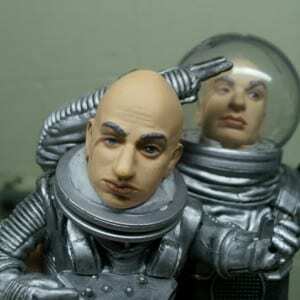 On other ad news, Instagram continued to migrate from friendly, free, fun platform to ad-driven, bye-bye privacy, yes-we’re-evil Facebook mini-me. They announced search and explore (beta name was search and destroy), as well as plans to eat Twitter for lunch, here. Departures continued from the upper echelons of Twitter, as it officially outcompeted Google+ to become the troubled child of social media. Google finally introduced a ‘recall that email’ feature in Gmail, which we’ve all been wanting since 1999, killed priority of brand Google+ page posts on branded Google searches, and threatened to unverify inactive local listings, here. Todo: log into your Google+ local account, and post something, anything, so Google doesn’t unverify you. 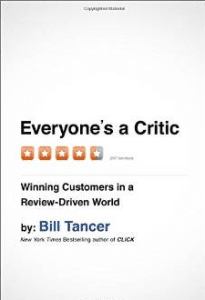 Bill Tancer’s new book, Everyone’s a Critic, is well worth the read (after you’ve upgraded your Google AdWords URL’s and logged into Google+ to post something to the people who aren’t following you on Google+ because no one seems to use it, not even Google). Bill argues that a) reviews really matter, b) that they’ve changed nearly everything, and c) smart businesses understand that growing positive reviews is an incredibly important thing to do. Todo: get reviews for your business, especially on Google+. Not ToDo: buy reviews, or totally fake it. Among supporters of Bill’s thesis, you might read this article on Search Engine Land: Online Reviews, Reputation And How To Become Super Credible. Can’t afford Bill’s book, you can read an interview, here. Oh and if you do a branded search for your company name, and if you have a strong Google+ local account, and if the Force is with you, you’ll get stars and look totally awesome to potential customers. Try it for the JM Internet Group. Among fun sites you can try Let Me Google It For You which proves some people literally have too much time (which is why Google AdWords is constantly throwing “innovations” at us like “upgraded URL’s”). Now isn’t that funny: just as everyone (including Google) is concluding that Google+ doesn’t matter, we see that it impacts branded search in a very favorable way, and it annoys Yelp enough to motivate them to pay for a study and buy a .eu domain extension on top of it (see below). Amongst other brouhahas in the local SEO / Social Media ecosystem, Yelp accused Google+ of not playing fair when it comes to local search and even bought a .eu domain extension to prove it a) means business, and b) understands the Obama administration isn’t about to regulate campaign-contributor Google, so it had better “Go Europe” on this one. (Bad timing, Yelp: Europe is a tad bit preoccupied with Hellenic problems). You can find links to the Yelp study and some commentary from me, here. Clearly the Yelp study was BOGO (Buy One Get One Free), as Yelp released another local Internet marketing study showing (surprise, surprise, surprise) that Yelp is the #1 site for identifying doctors, lawyers, and home service providers. If local matters to you, then, you gotta gotta gotta “go local” and that means Yelp, and Google, and every other relevant local site. Once optimized, you gotta get reviews. But don’t go too far with so-called doorway pages, as Google’s out to get those, too. Don’t know what local doorway pages are? Here’s a helpful article: Local SEO Landing Pages 2.0. Todos for Local: 1) Claim / optimize your Google+ local and Yelp local pages, 2) be wary of doorway pages for local search, and 3) withdraw all your Euros immediately at the nearest Athens-based ATM. And read Tancer’s book. The JM Internet Group finally released an updated version of the Social Media Toolbook for free (use coupon code: social3762). And we published top ten lists of free tools for Email Marketing, LinkedIn, Pinterest, and Content Marketing. So don’t say that there isn’t anything free in life, because there is: free tools. Todo: get the Social Media Toolbook free while it still is free. If you haven’t already, please follow the Marketoonist. This guy is seriously funny! Consider cross-functional collaboration or focus group of one. The former CEO of Netscape used to say: If we have data, let’s use data. If we only have opinions, let’s go with mine.” Or was that your boss who said that? Another site that’s seriously funny: urbandictionary, though NSFW in a big way. Two of my favorites: Cinderfella and datenapping. Note that if you are in marketing, you can “date nap” at a corporate meeting when someone drones on and on and on. Todo: investigate what trends and why, starting with recipes for summer cooking on the New York Times. Party on, Wayne, Party on. This entry was posted in Serious Humor and tagged AdWords, SEO, Social Media Marketing on June 30, 2015 by Jason McDonald.